I'm pleased to announce my husband, and I have blended our creative and professional lives in a new venture called Standing Impressions. His interest in woodworking and my passion for image making come together in our signature product. 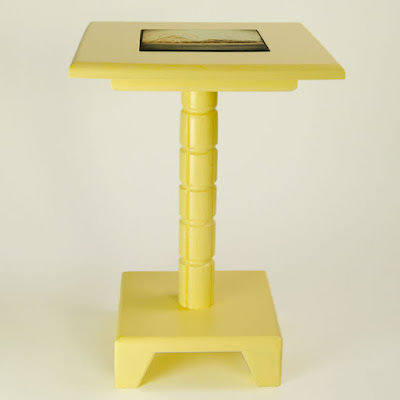 We make custom printed tile handcrafted drink tables. The tiles are removable–so you can easily replace them for changes in season or updates in decor. I've always been fond of the square format, so it was easy to envision my work on tiles. 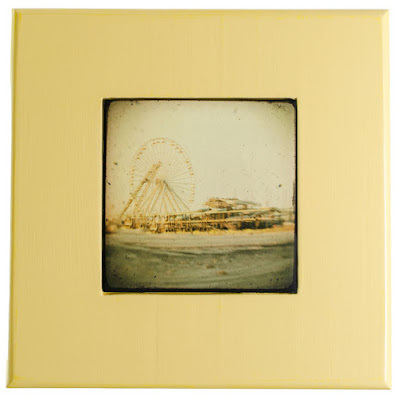 I use a dye-sublimation imprinting process–which produces a beautiful and durable image. Our current inventory includes some of my most popular photographs. However, I plan to offer hand-drawn designs as well. We are also happy to produce custom tile and table orders. Visit our Website to learn more. Not sure where summer went, but we are enjoying a gorgeous fall in the Catskills. My food blog takes most of my spare time, but enjoying the great outdoors through the lens of my iPhone remains a priority. Spring has been a long time coming here in the Catskills - but we finally have some warmer temps. Our daffodils are blooming (a month late) and pollen is starting to let loose - as is evident in the moment I captured in the video below. Achoo! We are still buried in snow here in the Catskills. As I mentioned in my previous post, I started a new project in January that focuses on greener things! I invite you to visit my new food blog at VeggiePrimer.com. Since this project is taking quite a bit of my time, I decided to close my Etsy shop. However, I still welcome purchase inquiries for my landscape and nature photography. Please feel free to contact me via the contact form provided on the upper right of this page. UPDATE: select prints are now available for sale on my Fine Art America site. Perhaps the frigid temps and icy snow have set my mind to greener topics – but I recently decided to share my interest in plant-based nutrition by starting a blog. I’m enjoying the move between table and landscape with my camera. 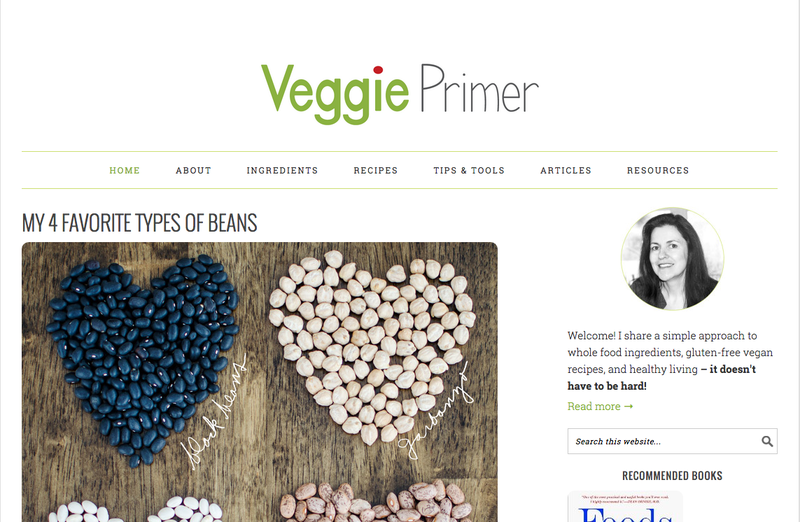 If you would like to know more about following a vegan and/or gluten-free lifestyle, please visit VeggiePrimer.com. I began my iPhone Meanderings project just over a year ago and I continue to enjoy the process. The combination of a camera, editing apps and sharing apps in one handy little pocket-sized package has allowed me to remain engaged with the project in spite of the demands of a full schedule. Taking a few moments to explore the possibilities of an app like Mextures is a great way to pass the time whenever I have a minute to spare!